The Berg Ultim Trampoline is produced from high qualtity materials. The combination of the flexible TwinSpring gold springs and AirFlow technology guarantees a great jumping experience. 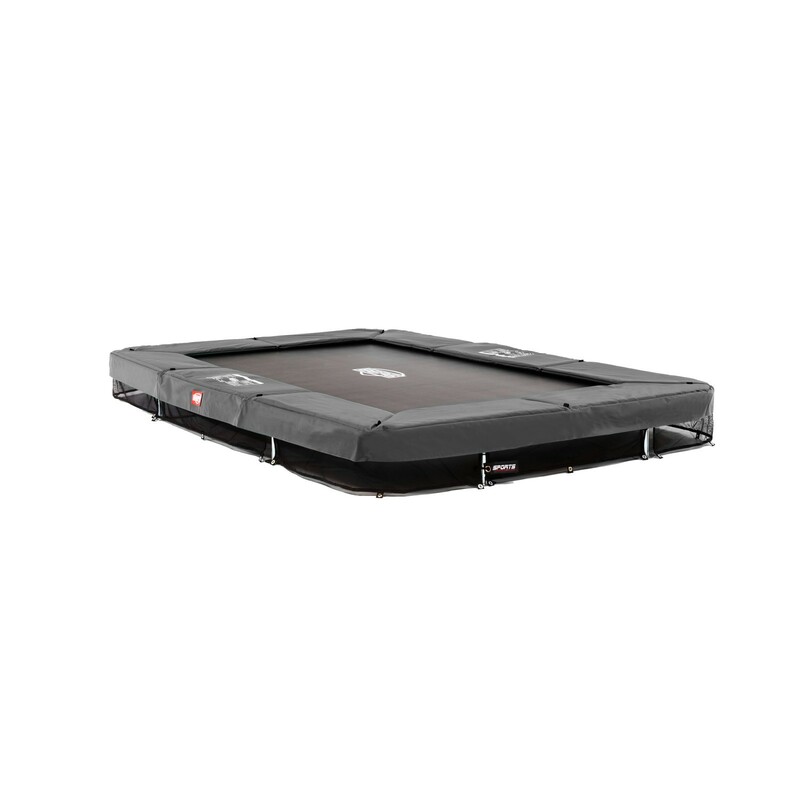 The BERG Ultim Champion In-ground Garden Trampoline is characterised by the AirFlow mat, this lets 50% more air pass through it. With this less air resistance you are able to jump higher. The springs are secured to the mat with the 8 x sewn triangular achor points. These points make the trampoline solid, safe and durable. The safety ring around the trampoline is made out of thick PVC and therefore especially safe. Additionally the high quality material is UV resistant, perfect for the conditions being under the sun. The BERG Ultim Champion In-ground Garden Trampoline is especially space saving. The rectangular form is especially suited to smaller gardens. Due to the rectangular form the whole area can be used effectively and your jumps can be controlled better. Jumping on a tramopline isn't only fun but has many positive effects on your body. You train co-ordination and balance as well as stimulating the cardiovascular system. 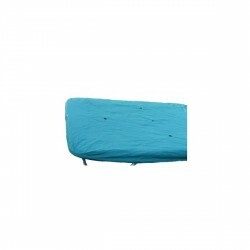 Berg trampoline weather-protective cover 330 x 220 cm In stock! BERG Ultim Champion In-ground Garden Trampoline add to comparison list.